blood supply, spinal motion is essential in order to increase circulation of fluids in the surrounding joints and bring nutrients to the discs and allow them to heal. 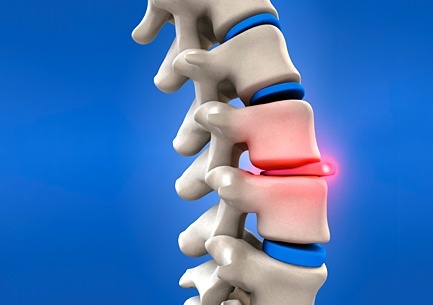 Spinal misalignment and fixation cause the discs to thin and begin the process of degeneration. Many studies have shown that intersegmental traction, along with chiropractic adjustments, is the most effective treatment of disc related injuries and spinal pain. Patient's of Gallatin Valley Chiropractic report not only a decrease in their amount of pain but increased flexibily, joint mobility and a decrease in the amount of numbness and/or tingling. intersegmental traction tables gently induces passive motion into the spine, stretching spinal joints, increasing mobility and drawing in more fluid from the surrounding joints to help them heal by using non-surgical treatments that actually correct the problem as well as relieving symptoms. Our traction machine can be used for a lower back disc herniation/ bulging disc (ex. L5-S1 or L4-L5) as well as a neck bulging disc/disk or herniation (ex. C3-4 or C6-7). Other uses include arthritis, auto accident and whiplash injuries as well as work related disc injuries. Don't let the symptoms of a disc injury control your life and further deteriorate you spine, call your Bozeman Chiropractor at Gallatin Valley Chiropractic to get your spine back in shape today!